Ron Sayer's Chrysler Jeep Dodge has been proud to serve the greater Idaho Falls area since 1947. Throughout the years we have grown and expanded at our current location at 490 Northgate Mile in Idaho Falls, ID. We offer two completely renovated showrooms which feature lounge area’s to wait for your vehicle while it is in our service department. You can enjoy free WiFi to use on your laptop, mobile phone or iPad or iPod. Our parts department is stocked with only the finest OEM parts. Mopar accessories and a complete tire inventory on site. Our Sales Team is staffed with only the finest and most knowledgeable sales consultants to make sure that your questions are answered and that we respect your time. We are truly a no pressure dealership. We have the area’s largest inventory of new Chrysler Dodge Jeep and Ram vehicles on hand to serve you even better during your visit. Ron Sayer has always played a large role in the local community. Every year we are know for our education fundraisers in which we help raise money at the school for their use. Ron Sayer also supports local high school athletics and academics, food bank, shelters, non-profit organizations, and many other local charities that play a huge role in day to day lives of so many people. Ron Sayer has always believed in treating each and every customer like a member of the Sayer Family. 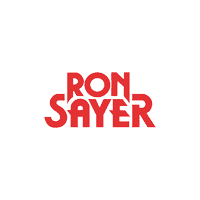 Today more then ever we are living up to the legacy that Ron Sayer himself set forth. Come experience what the Sayer Family Difference is about. Thank you for considering us for your automotive needs. We sell the exciting new Chrysler, Jeep, RAM and Dodge models, as well as a comprehensive array of used cars, trucks, crossovers and SUVs. Our courteous, experienced and professional staff is waiting to assist you. Browse the Ron Sayer’s new and used car inventory online, submit any applicable forms, then come in for a test drive and talk with us about our fantastic car loan and lease options. You can also request more information about any of our new or used vehicles, auto parts, or auto repair and service, by using our contact form or by calling the number above. The Ron Sayer’s Car Finder form is a convenient way to have us search for the vehicle you want. Submit it right now, and we will contact you when we find the vehicle you have described! Our new and used car dealership is located at 490 Northgate Mile. We have served customers from Rexburg, Blackfoot, Pocatello, and all over the greater Idaho Falls area.